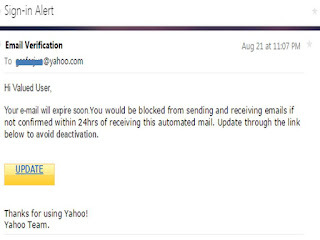 I captured this email from my yahoo account today, August 22, 2015. This is not true. If you will get one, ignore or delete it! It is from a scammer trying to hi-jack your email address to spam all your contacts and then use the account to spam hundreds/thousands of others. Yahoo and all email companies, all banks and all companies in the entire world will NEVER ask for your password, pin or date of birth. 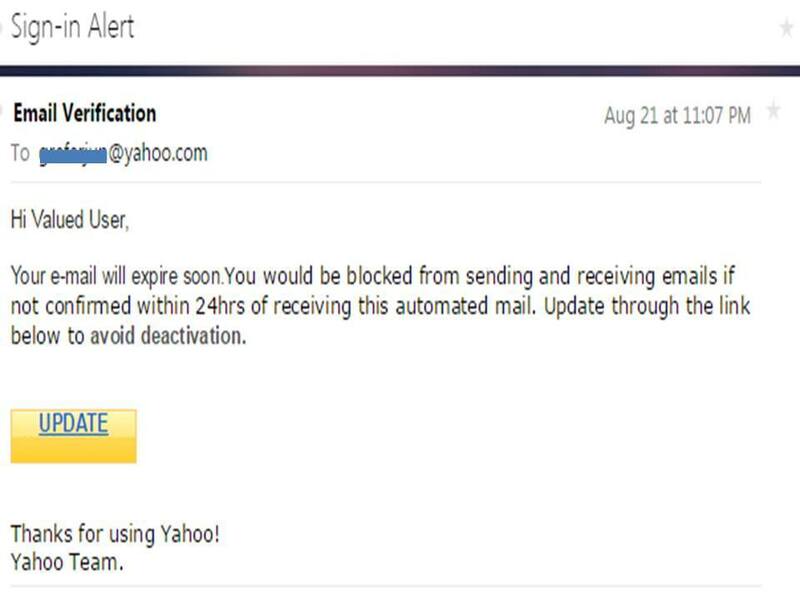 Your e-mail will expire soon.You would be blocked from sending and receiving emails if not confirmed within 24hrs of receiving this automated mail. Update through the link below to avoid deactivation. After 36 hours my email is still working. It has not been blocked!